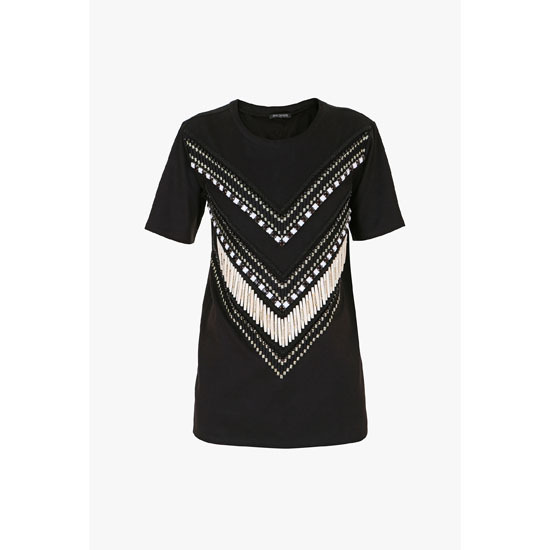 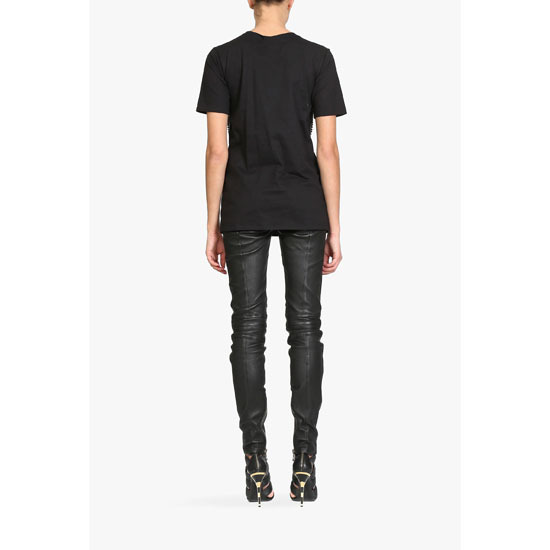 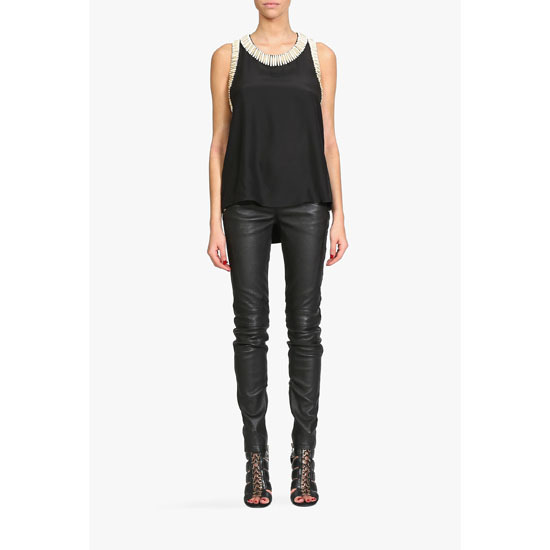 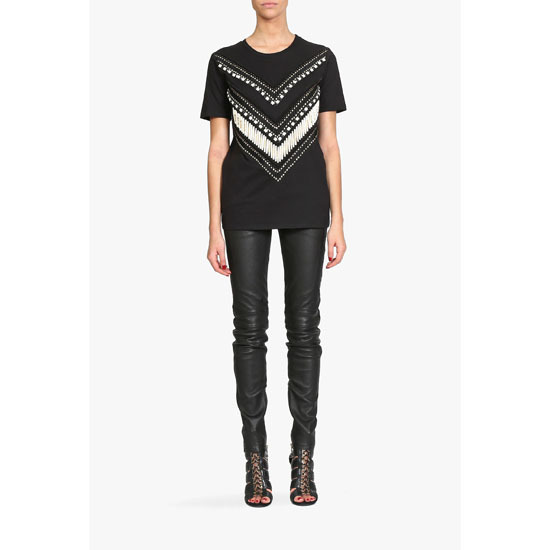 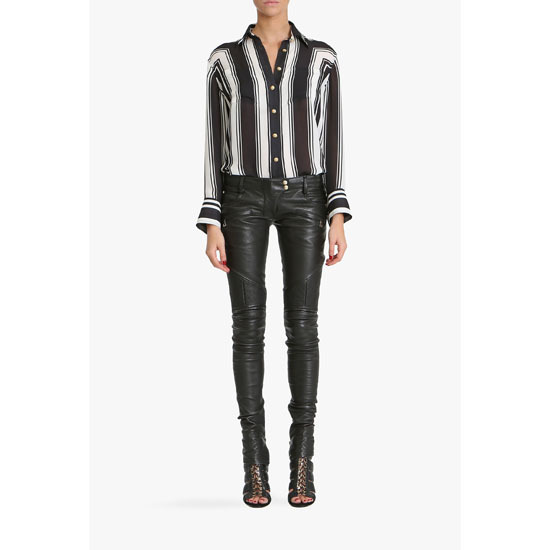 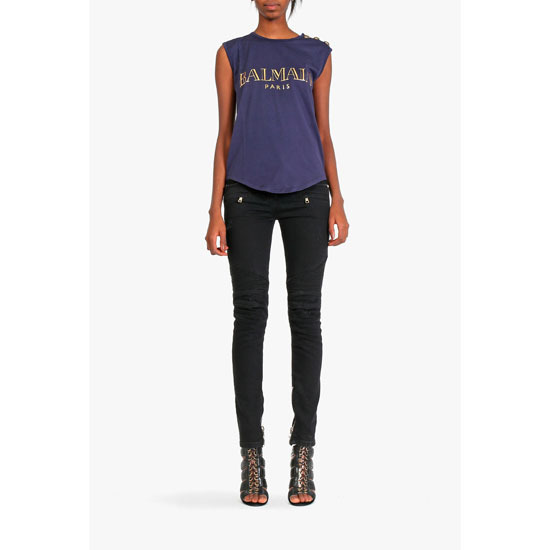 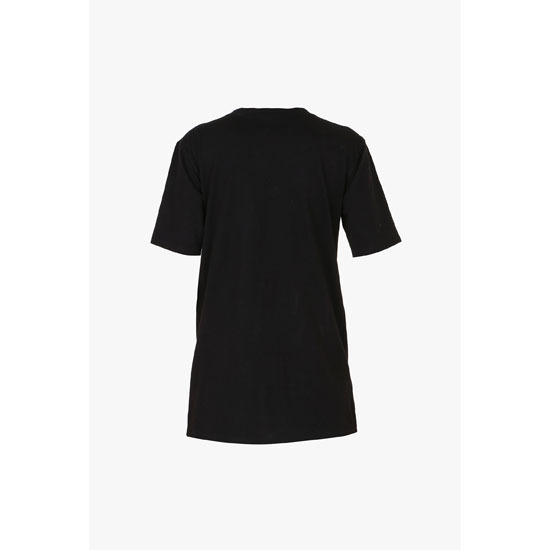 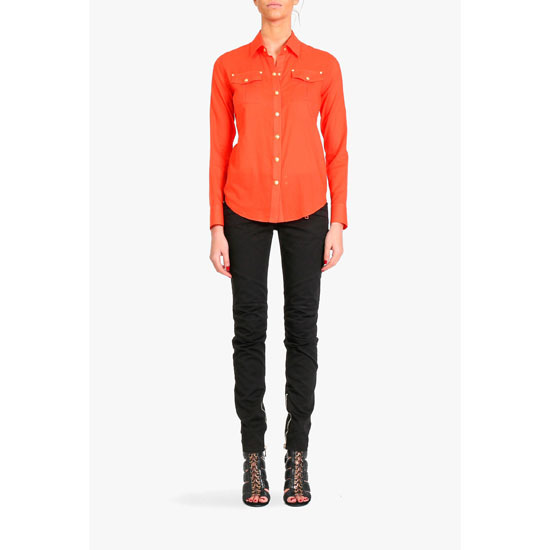 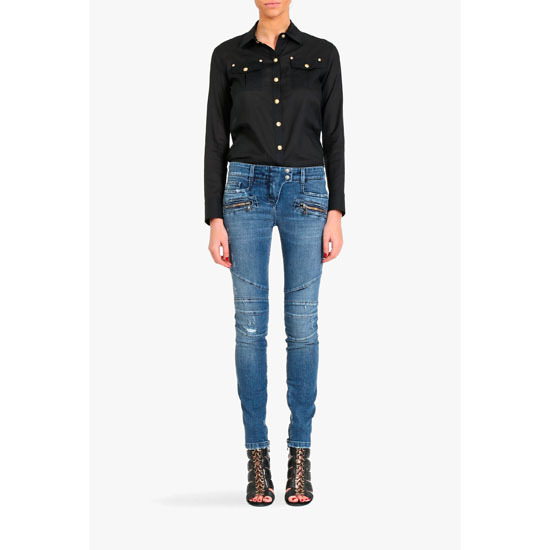 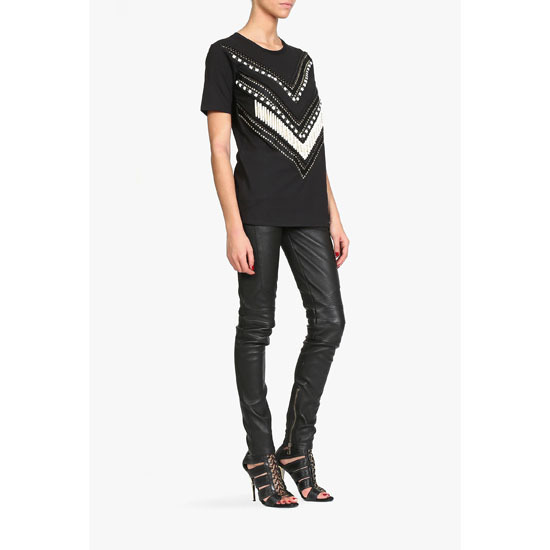 This black cotton T-shirt is one of the most noticed piece of Balmain's resort collection. 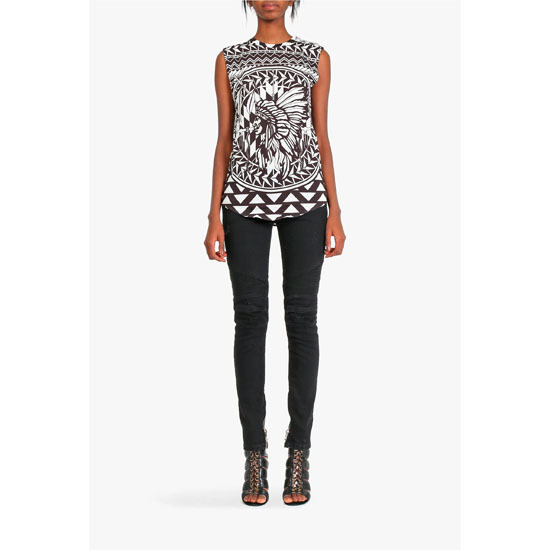 This lightweight design has a natural bone beads pattern on front. 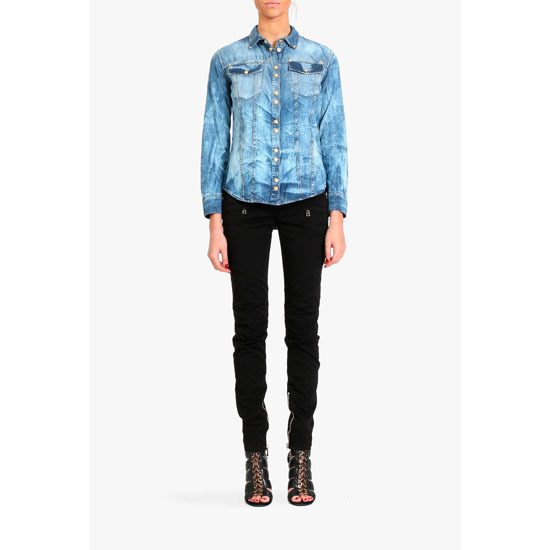 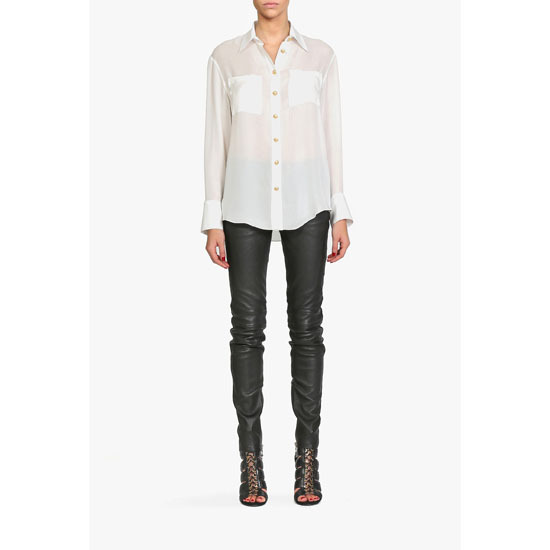 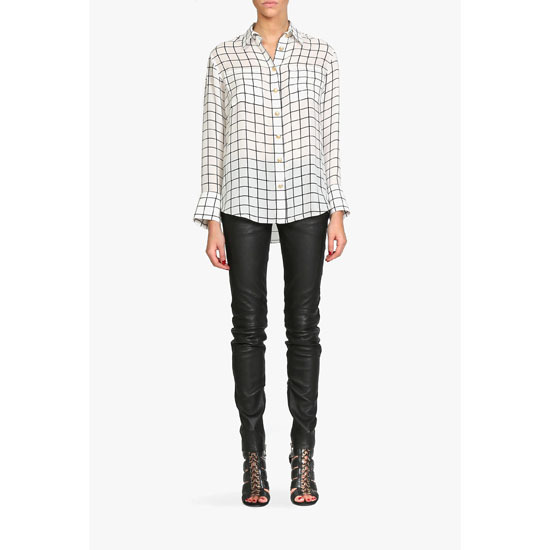 Wear yours with a leather biker jacket, washed denim jeans and high heels.